Tom Threepersons was a legendary lawman serving in San Antonio and El Paso, Texas during the early 20th Century. 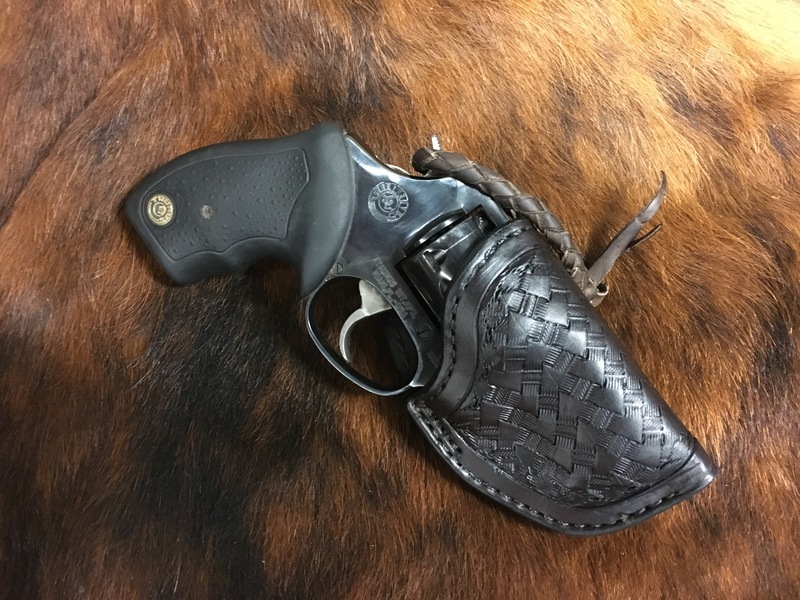 In about 1920 Threepersons designed a holster for his personal use, and had it made by the excellent S.D. Myres Saddlery. 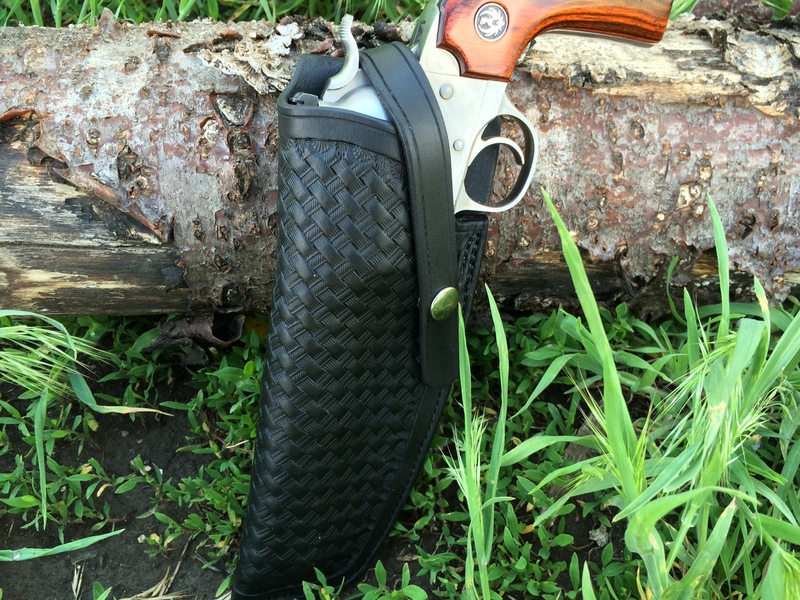 Originally, the design was a strong-side, high-ride, open top holster with a modest forward cant. Later models featured hammer thongs, and then straps with snaps. Finally, this design evolved into the thumb-break styles that remain popular to this day. 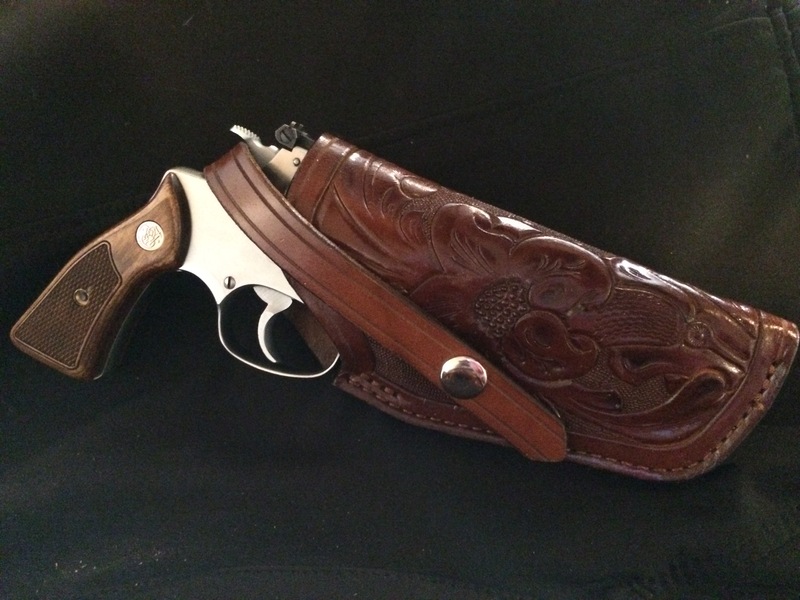 The photo attached of an obviously used holster displays one of Tom Threepersons' personal holsters, with the original carving pattern. This one is believed to have been made by S.D. Myres, c. 1920, and is displayed here only as a tribute to the designer and original maker. Intended carry position (standard cant) is just behind the strong-side hip, about 3:30 to 4:00 position. Original open-top style, base price $85.00. Open-top with retention strap and snap (rotates forward to allow a "ready position"), no added charge. 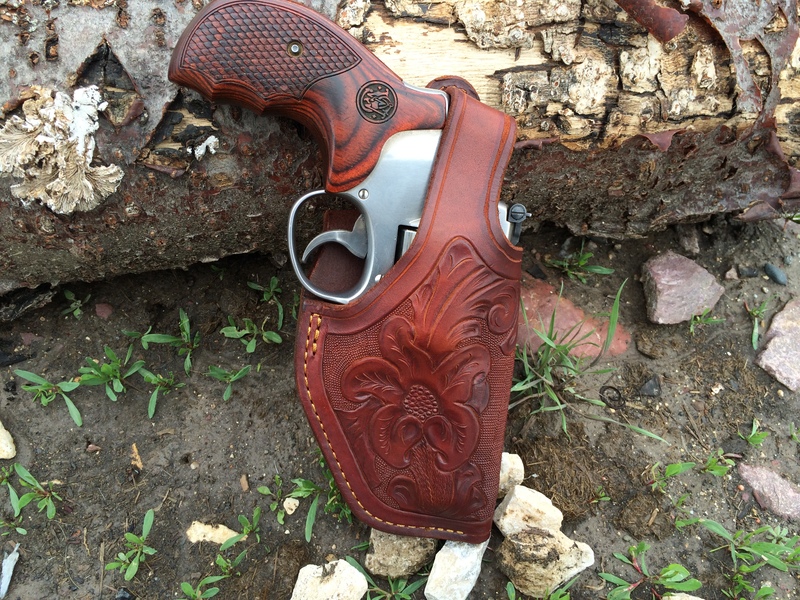 Based upon customer requests, carved belts are available to match the carved Threepersons' style holsters. These are based on either the B-10 or the B8 Belt design. The hand-carved belt can be added in sizes up to 50" at $145.00. NOTE: Carved holsters are cased and blocked, hand-formed, but will not be boned as this would destroy the carving detail! **** If you like to carry extra ammo, Don't forget to check out the mag/speedloader pouches! !